HA NOI (VNS) — Viet Nam will play the hosts in the semi-final of the ASEAN Football Federation's U19 Championship after their win yesterday in the last match of the Group B yesterday in Vientiane, Laos. Viet Nam defeated arch-rival Myanmar 2-0 to top the group with 10 points after three wins and one draw. Malaysia are second with seven points and will meet Thailand in the first semis tomorrow. Tran Duy Khanh opened the score for Viet Nam in the 41st minute with a tap-in which went past goalkeeper Thitsar Min's reach to enter the net. The goal came after many a chance wasted by players of both sides. 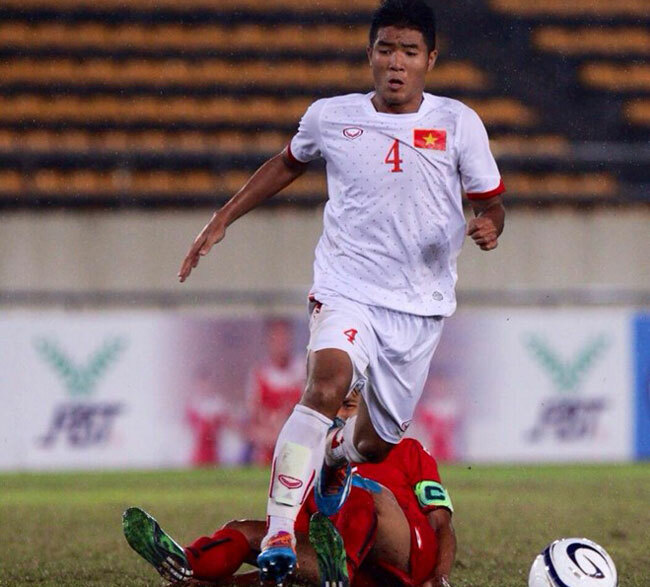 Nguyen Tien Linh, Ha Duc Chinh and captain Nguyen Trong Dai from the Vietnamese squad all missed opportunities. Meanwhile, Myanmar's Zin Phyo Aung, Aung Zin Phyo and Kaung Chit Naing did not make it. In the second half, Chinh scored his second goal at the National Sport Complex Stadium after receiving a long-range pass from Pham Trong Hoa from the centre area. Chinh's low shot to the near corner did not leave any chance for keeper Min. In an earlier match, Singapore tied East Timor 1-1. On Sunday, Laos, cheered by over 12,000 fans, went in for the kill from the very start and walked away with a 3-1 win against the Philippines to qualify for the semi-finals. Laos coach, Phan Ton Loi said his team had the perfect first half. "It really was perfect. We needed to win and we managed to get three goals. "But in the second half, some of the players started to become tired. Still, I'm happy with the outcome and the fact that we have qualified for the semi-finals," said Loi, a Vietnamese trainer. "It does not matter who we meet in the semi-finals, we will give it our best," said Loi.